The grandmothers have a very large lap. It is out of proportion because she is made to function as a chair. From a distance, her triangular shape looks like a mountain—which gives new meaning to children climbing into her lap for a hug. Her mass is substantive. It creates a soft, but sturdy place to land. It is a place of welcome. While sitting on her lap, children immediately and instinctively grab her arms and complete the circle. This action creates a sense of belonging. At last, the vulnerable is not alone, but rather, cradled within maternal love. Restorative space is made from this center of safety and security. It is a sacred space, a place where the fragile are protected and supported, and the hard work of healing can begin. The grandmothers’ physical presence evokes a deep soulfulness; an unconditional compassion that will acknowledge the harm, validate it, and help to repair and transform. List how the metaphor of a mountain is appropriate for a grandmother. Please tell about a time when you gave or received unconditional compassion. When you are hurt, what do you need to feel safe enough to share? 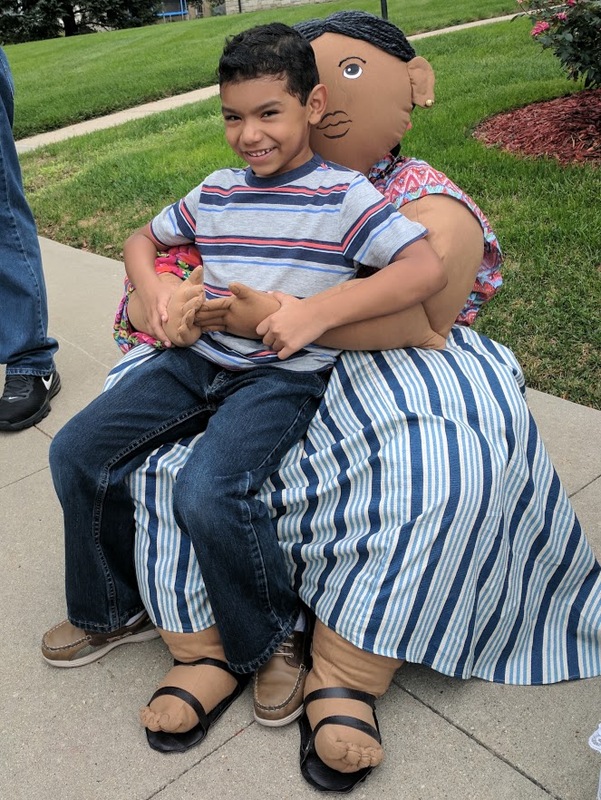 When asylum-seeking parents and children were separated and put in detention centers; compassionate, creative action was needed & Grandmother Healing Dolls was born. Follow the journey of their creation and the 3000 mile trip to three detention centers, courthouses, and more on this Thrive Global Nonviolent Series.